Dr. Mobley is originally from Greensboro, NC, but moved to the upstate in 2008. 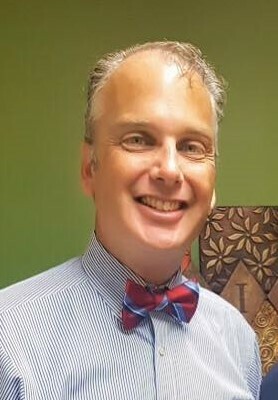 He completed a Bachelor of Science degree in Exercise and Sport Science in 1998 and received his Doctor of Chiropractic degree in 2002 from Life University, College of Chiropractic in Atlanta, GA. Dr. Mobley furthered his training with 120 postgraduate hours, earning a Certificate in Pediatrics. Dr. Mobley is also passionate about biblical counseling, and has completed a biblical counseling certificate from the Christian Counseling and Education Foundation, which is affiliated with Westminster Theological Seminary. He is a member of the Palmetto State Chiropractic Association and the Christian Chiropractors Association. Dr. Mobley has received numerous awards in the chiropractic profession, including the Ben Franklin Award, which was given in 2011 for his excellence and highest performance in the field of chiropractic. He has also received the A+ Award and the Eagle Award through the Advanced Management for Chiropractors. Dr. Mobley has been married for 18 years and they have been blessed with eight children. He and his wife are active members of Second Presbyterian Church, PCA in Greenville, where he serves as a Ruling Elder and Sunday School teacher. You may reach Dr. Mobley directly at drmobley@communitychiropracticsc.com. "I joined Community Chiropractic in 2010 and have loved every minute of my job! I work out of the Easley Office in Patient Care. I was a prior patient of the office and experienced great results with chiropractic care before joining the team. I am originally from Greenwood, SC but have lived in Easley, SC for most of my life. I have two adult children and one grandchild. My husband and I are active members at Trinity Point Church in Easley. You can reach me directly at Cyndy@CommunityChiropracticSC.com." "As a child of God and a mother of 2 young boys, God has shown me everyday how blessed I truly am. I also work with Grace in the Wilderness Ministries as the Director of their teen ministry program for girls called Glitter and Grace Teens. I love the outdoors and spending time with my family. My husband and I have two boys; Carson is 5 years old and Asher is 3. There is never a dull moment in my household, but I wouldn't have it any other way! I am privileged to be able to work in an environment where God is always first and the staff and patients are like family. I pray that God will continue to use Community Chiropractic to heal people both physically and spiritually. I have seen firsthand how Dr. Mobley and his staff encourage the weary and strengthen the community just by doing their job and staying faithful to the Lord. It truly is a blessing to see patients regain their joy, mobility, and health through chiropractic care. I am happy to talk with you if you are interested in scheduling an event for us to be a part of. Dr. Mobley has been a frequent community speaker over the past several years and would love to come talk to you about wellness. If you would like to schedule a talk for your group, please contact me directly at Kayla@CommunityChiropracticSC.com." "I am new to Community Chiropractic as well as South Carolina. I am originally from West Virginia where both my husband and myself have lived all our lives. We are fulfilling a dream to move to the South closer to family. We have 2 grown sons and 3 grandchildren: Mollee 9, Asher 2, Abigayle 2. I love to spend time with my family and I love to do Scrapbooking. I became a Christian at the age of 13, and I love to serve my Lord! I have worked in medical offices at just about all capacities for over 25 years. I am excited to be a part of Community Chiropractic as their Medical Billing Specialist as well as getting to know each of the patients. Feel free to contact me anytime at Nancy@CommunityChiropracticSC.com"
"I joined Community Chiropractic in June 2018. I have spent the better part of my working career in the medical field. I have been happily married for 13 years to my wonderful husband, Alex. We have two sons, Ethan is 11 years old and Gavin is 9 years old. We attend New Prospect Baptist Church in Anderson, SC where I am a Sunday School teacher for the 1 and 2-year olds. We are big baseball fans and enjoy going to Atlanta Braves games. I enjoy being a part of Community Chiropractic and look forward to serving the Easley community! You can contact me at Ashley@CommunityChiropracticSC.com"